Located in historic Centerville, Ohio, and Washington Township, The Springs at the Villages of Winding Creek provides resort style living with lavish amenities available to all residents. When choosing Winding Creek you are choosing over 142 acres of green space, 8 distinct ponds, and over 4 miles of walking trails. Residents can take a dip in the sparkling pool on a hot summer day, or stay indoors, hosting a party in the clubhouse. Residents can also stay fit by visiting the fitness center or playing a game of basketball with neighbors and friends. Notable locations include The Greene, The Dayton Mall, Austin Landing, Yankee Trace Golf course, Kroger Market Place, and Oake Grove Park. 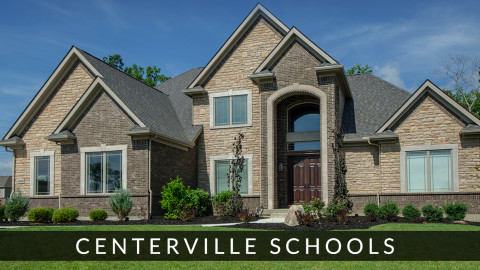 If you’re looking for a place to live with a great location, abundant amenities, and the Centerville school district, you’ve found the place. Notable locations include The Greene, Austin Landing, and the Yankee Trace Golf course. Directions: Take St. Rte 48 to Social Row Road. Go east on Social Row Road. Turn right onto Cold Spring Drive. 10995 Cold Spring Dr. | Washington Twp. 10995 Cold Spring Dr., Washington Twp.